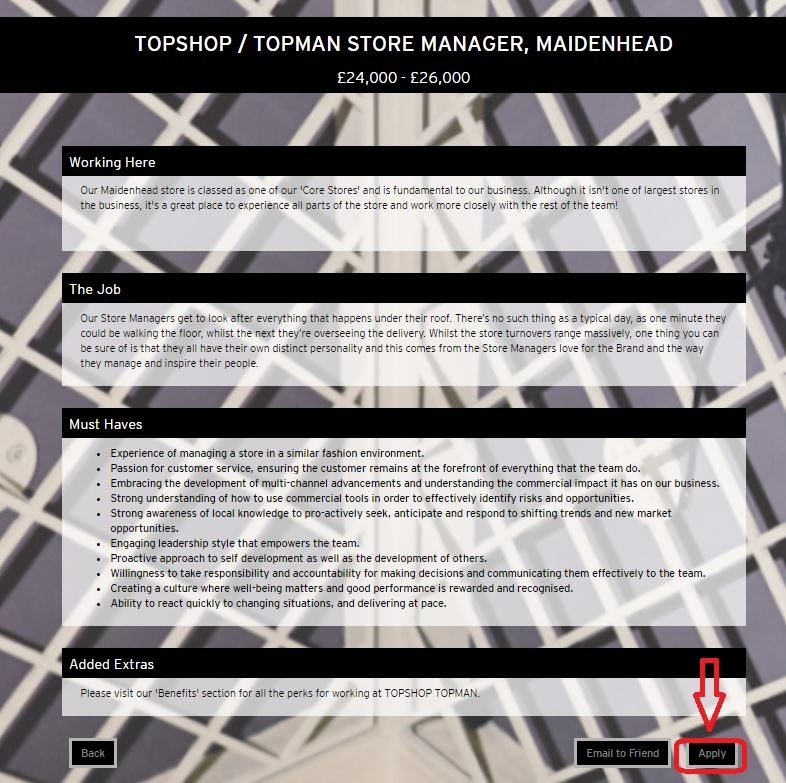 To pay a visit to the Topshop careers page at careers.topshop.com or topshop.com/careers is the first step if you are going to apply for a job at Topshop. 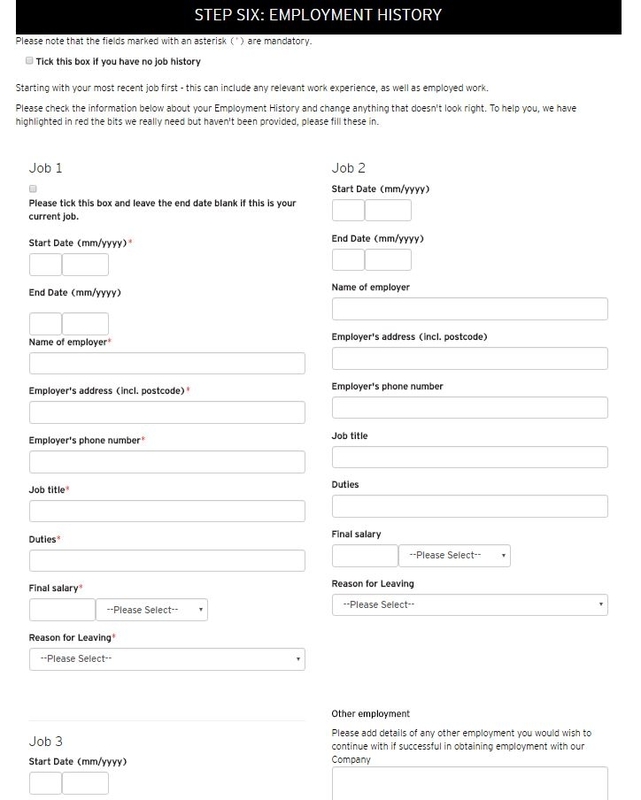 When you enter this page, you will be rendered two application methods: one is to click the "APPLY NOW“ button on the upper right side of this page and follow the instructions to find job openings; the other is to choose location and job type and enter the keywords in the search bar to find job vacancies at present. 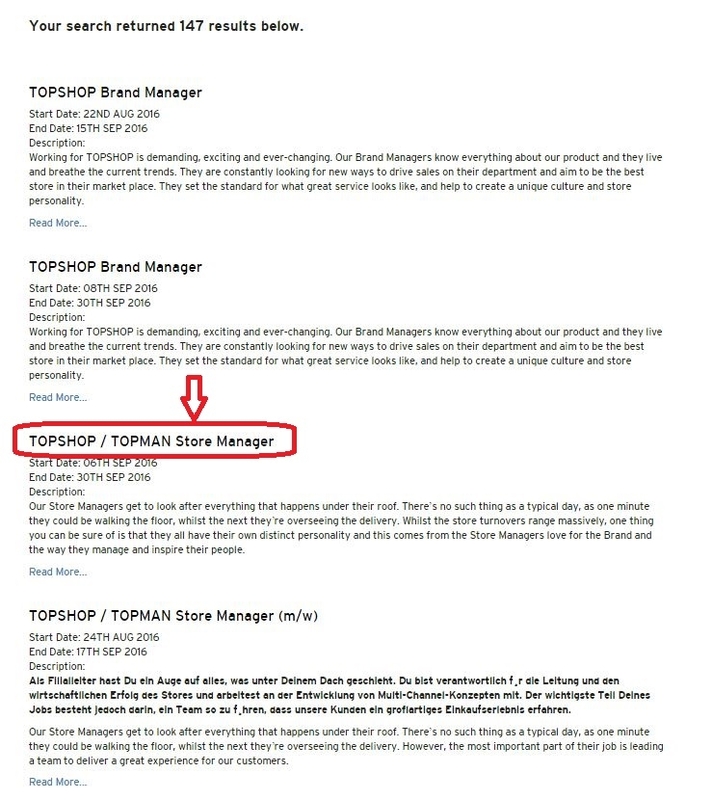 This article will choose the second one as an example to tell you how to apply for a job at Topshop. As you can see from the picture below, there are 147 positions in line with your search conditions. Browse these results and select a position in accordance with your interests and qualifications. Once you click on the job title, a job description page will pop up. View these details about the job description and click the button "Apply" to continue. 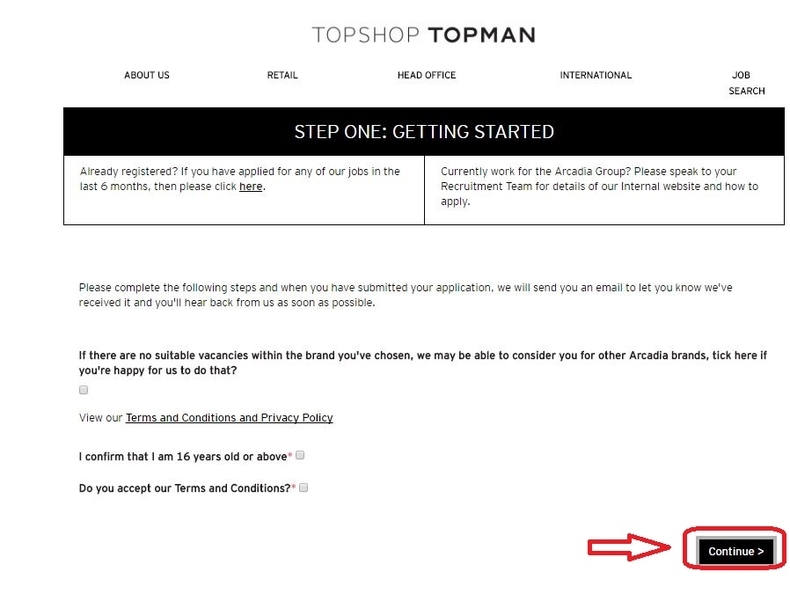 You are asked to confirm that you are 16 years old above and accept the terms and conditions in this step. 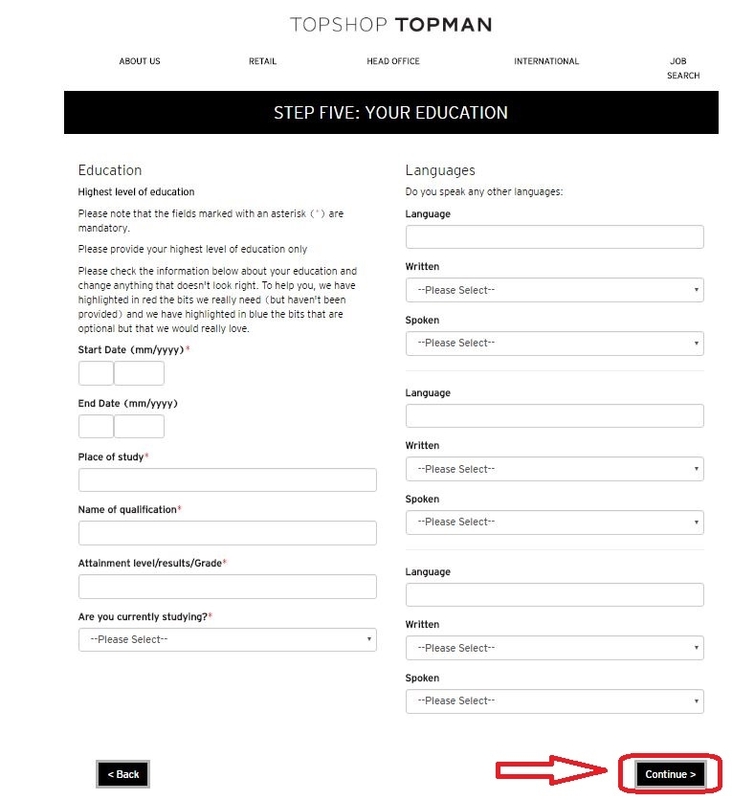 If there is no problem, please click the button "Continue" to go to the fifth step. This step is rather important since you need to provide your experience and capabilities in detail. 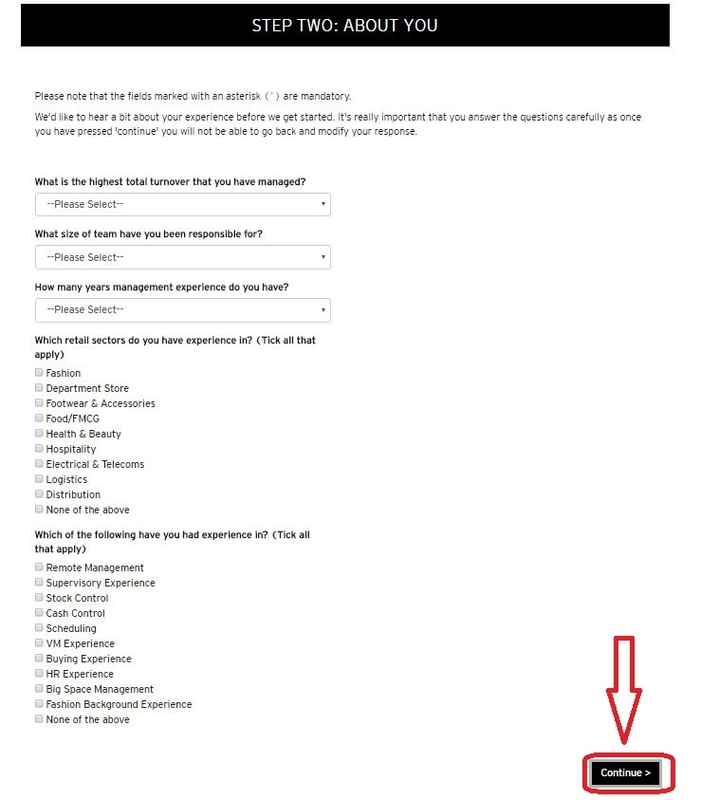 You are suggested to answer these questions carefully since you are not allowed to go back to modify your answers once you click the button "Continue". And you will go to a THANK YOU page if you are not qualified to take the position you've chosen. You need to upload your recent resume or CV to make your online application more intact. Choose a file from your computer or Google Drive and click the button "Upload & Continue" to move on. Personal details may be the most essential part in a job application process. Here your name, address, city/town, address, state/country, zip code, contact number, email, and UK national insurance number, etc. are included. All mandatory fields are marked with an red asterisk. After filling out, you can go on by clicking the button "Continue". You are required to provide your education background in this step. 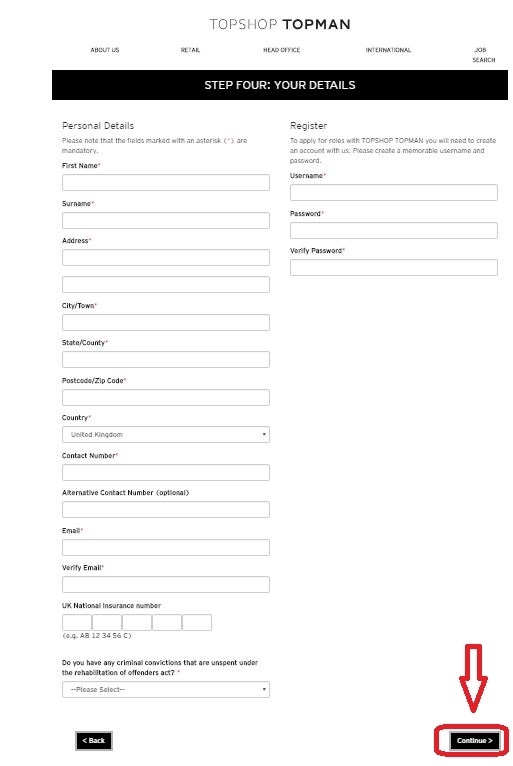 Fill out all the demanded fields and press the button "Continue" to go further. This step is a little complex as you have to provide your employment history, specify your employment and salary requirements, tell how far you are willing to relocate and where did you hear about the position, and answer the equal opportunities questions step by step. When you finish each single step, you can click the button "Continue" to go to the next one. 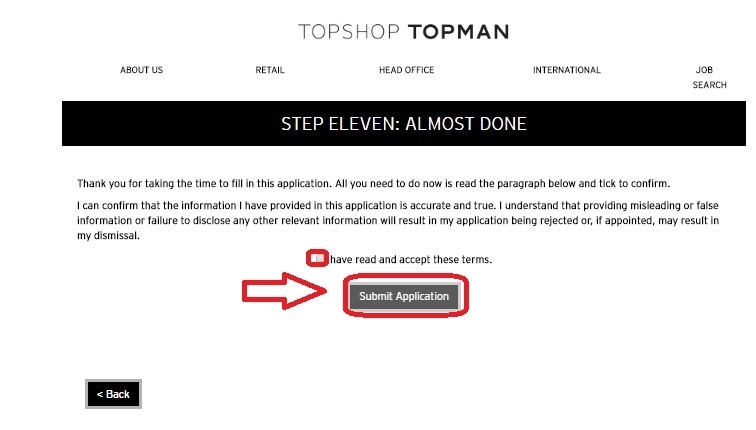 After finishing the nine steps above, you are asked to accept the terms on the page shown as below and click the button "Submit Application" to get your application submitted, after which you will be given a THANK YOU page telling that you've completed the whole online application process. 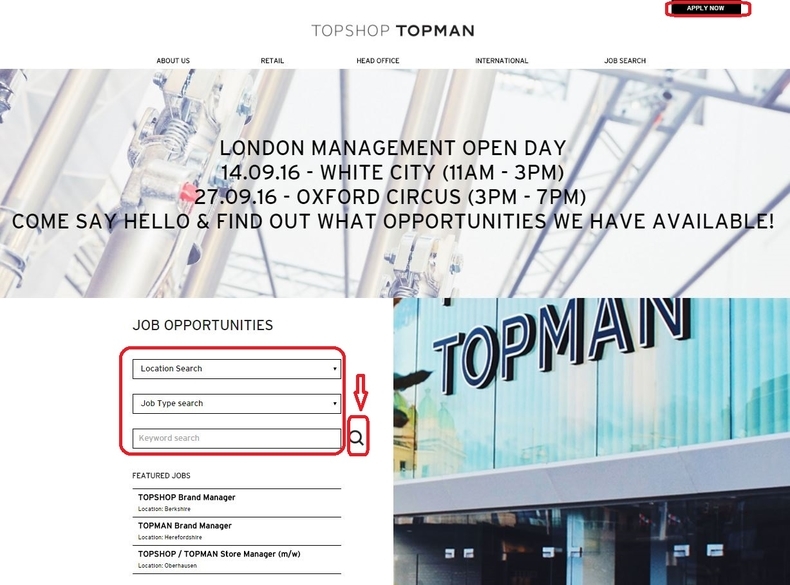 Click careers.topshop.com to apply for Topshop jobs online.